Lavender is a wonderful shrub to grow in the garden, and this specialist book will amaze novice gardeners with the number of varieties available. Lavender is a special shrub in the Moosey garden - I have many different types, and one or more seem to be in flower all year round. 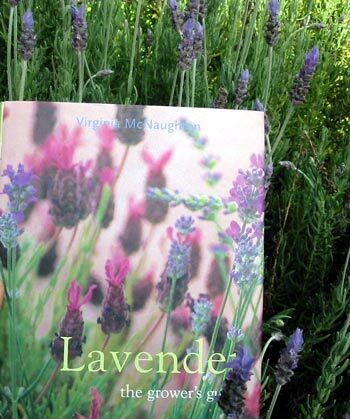 The author of this book grows her lavender in the south island of New Zealand. It's not just a book for New Zealanders, though - she details over 200 lavender species and cultivars from countries around the world. The photographs are very botanical as well as showing lavenders growing in the garden. I promise that I'm going to re-read this book very soon - it's inspiring.